“Wisdom is the principal thing; therefore, get wisdom.” Proverbs 4:7 NIV. Life can be challenging. In those challenges, hold loosely what is temporal; distinguish and hold tightly what is eternal. The Bible’s counsel is wise; “Examine everything carefully; hold fast that which is good.” 1 Thessalonians 5:21 NAS. I find it interesting that our God Who, “changes not,” also declares, “I make all things new.” With discernment, you navigate the changes inherent in daily life without losing connection with the spiritual values that have enriched your journey. As years and experiences accumulate, you will cherish your history of God’s providence while you readily recognize the current activity of the Holy Spirit in your life. A trusting heart and mind are the keys to expanded experience and increased knowledge. Solomon discovered, “Blessed is the man who finds wisdom, the man who gains understanding, for [wisdom and understanding are] more profitable than silver and yield better returns than gold.” Proverbs 3:13-18 NIV. Invest in acquiring wisdom. Wisdom from God is easy to recognize. James 3:17 NIV. Spiritual discernment and wise discrimination will guard and guide you. No wise person would leave their door open to anyone who drops by for good or ill. Neither should your heart or mind be void of discernment. You must exercise spiritual judgment. Stay open in your spirit, not to everyone or anything, but welcome those Godly people and present realities that align with God’s Truth and ring true in your heart. Solomon learned, “By wisdom a house is built, and by understanding it is established; and by knowledge the rooms are filled with all precious and pleasant riches.” Proverbs 24:3-4 NAS. Change alone is not quite enough; you want growth and measurable improvement. For that to happen, you will need your knowledge to mature into understanding and wisdom. It is equally foolish to be open to everything as to be closed to anything. “Every teacher . . who has become a disciple in the Kingdom of Heaven is like a person who brings out of the storehouse the new teachings as well as the old.” Matthew 13:52 NLT. Experiences, old or new, require discriminating discernment. Value both old and new experiences, integrating both for your gain and growth. If you desire Godly wisdom, my friend, Campbell, practiced and recommended reading one of the 31 chapters of Proverbs each day, again and again every month. “Wisdom is the principal thing; therefore, get wisdom. And in all your getting, get understanding.” Proverbs 4:7 NIV. As Solomon learned, you do not acquire true wisdom by your own cleverness. Wisdom and understanding result from the practice of God’s Word, by observing and welcoming the Godly wisdom of others, and by learning through your own experiences as understood through the prism of God’s Word. 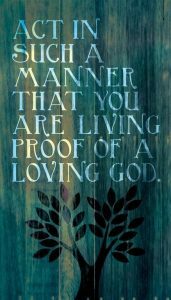 Value those who have lived longer, journeyed further, and are open to know God and His ways better. 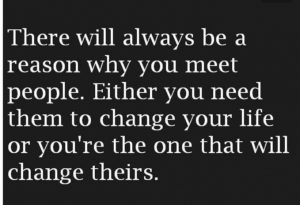 Then become that person for someone else. “So teach us to number our days, that we may present to You a heart of wisdom.” Psalm 90:12 NAS. Today, I pray for you to listen well to the Holy Spirit in your heart. John 16:13-14 NIV. Worry and hurry suggest the urgency of a wrong agenda. “The Lord will work out His plans for my life.” Psalm 138:8 NLT. So much of our daily lives and activities seem to be governed by clocks and calendars. God operates within His plans that are timeless and eternal. Timing is everything. The right thing at the wrong time is no better than the wrong thing at the right time. Sometimes, I am off schedule, earlier than was necessary or later than is useful. However, God is always exactly on time – His time. Maybe you are in a circumstance where you think that God is late, that He should have done what you asked much sooner. Be assured; “God is able to make all grace abound to you, so that in all things at all times, having all that you need, you will abound in every good work.” 2 Corinthians 9:8-9 NIV. Lazarus, a dear friend of Jesus, was seriously ill. Martha, his sister, asked Jesus to come, but for reasons known only to Jesus, He delayed several days before coming to Bethany. Read John 11:1-45 NIV. Understandably, Martha was distraught. In her view, Jesus had done the wrong thing. While Jesus delayed, Lazarus died. Martha was heartbroken. The situation seemed irreparable. By her view of events, Jesus was too late. Is God ever too late? You have probably had similar emotions when God hasn’t worked when you expected or in the way you anticipated. Disappointed, hopeless, and upset, Martha saw an opportunity missed. Jesus saw an opportunity whose time had finally come. “Lazarus’ sickness . . is for the glory of God.” John 11:4 NKJV. The glory of God is rarely achieved in the manner you anticipate or on the schedule you had hoped. There is never a wrong time for God to do what is His will to do. God’s timing is flawless. Jesus’ schedule is completely aligned with His Father, always and completely. “The Son can do only what He sees His Father doing, because whatever the Father does the Son does also.” Read John 5:19-21 NIV. That should be your goal as well. At God’s time, in God’s way, and for God’s purpose, God’s will is best accomplished. Your dilemma is not a project for God to complete but rather a process for your faith, trust, and obedience to develop and strengthen. “So do not throw away your confidence; it will be richly rewarded. You need to persevere so that when you have done the will of God, you will receive what He has promised.” Hebrews 10:35-36 NIV. You may not prefer His process, but His process is best. God is more concerned with doing right what He plans for your life, than He is about getting it done how and when you think it ought to be. His vision and purpose will be fulfilled. Worry and hurry usually suggest the urgency of a wrong agenda – your agenda instead of His. Persuading God to accept your clock or calendar will be futile and frustrating. Be assured as was David, “The Lord will work out His plans for my life.” Psalm 138:8 NLT. Beware of your insistence and impatience. Grow your confidence and expectation as you welcome God’s timing on every occasion. “Now may the Lord of peace Himself give you peace at all times and in every way.” 2 Thessalonians 3:16 NIV. Today, I pray for you to trust God for the calendar and moments of your life. Our apology for any inconvenience to some EDL readers this morning who did not receive “Treasures in Darkness.” A problem occurred with a Yahoo email server mistaking EDL for Spam and chose “returned to sender.” For those, we will resend before the end of the day, as this error is corrected. I was awakened before daybreak this morning and impressed to write more about the subject so everyone will (hopefully) receive the expanded, updated version – some of you for the first time today and some for the second time! So all are blessed! Thank you for you understanding . .
Obedience welcomes light and banishes darkness. As a young teen, I worked the night shift in a truck stop one summer. At first, it was exciting staying up all night; though I probably played more pin ball than I pumped gas. After the first few hours, the night just seemed too long and too dark before the first daylight edged over the darkened, eastern horizon. And while in college, I had a summer job at a steel mill, usually on the night shift from 11 pm to 7 am. I never liked going to work when others were going to bed, or going to bed as others were just waking up. It seemed contrary to some natural order of things. In darkness, you do not see as well nor as far. Dark nights of the soul are neither where you expect to find the best nor where or when you would prefer. But God has His own time and place for everything. God says there are treasures there in the dark that can be found no other place, at no other time, and in no other way. There is a spiritual darkening of the soul that is not literal or physical. At those times, God promised, “I will give you treasures hidden in the darkness.” Isaiah 45:3 NLT. 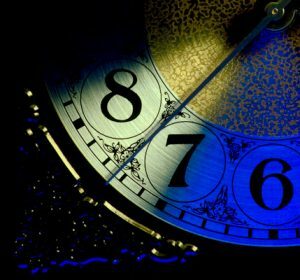 There are many Biblical occurrences of God walking into the dark hours that people experience – physically, emotionally, or spiritually. God is present at distressing and difficult moments. Gayle and I were newly married and I was just beginning my senior year in Bible college, when in a day’s time our future turned dark and uncertain. The darkest night of my soul may well have been that night after my father and sister died in a highway accident, and my mother was gravely injured and hospitalized in Sikeston, Missouri. After flying that same night from California, then driving several hours to her bedside, I fell wearily across the bed in a small motel across the highway from the hospital. Never a night felt darker. Treasure was the last thing I expected to find that dark night, but find it I did. The last sermon I heard my Dad preach was about Solomon’s prayer that God would give him wisdom, “For I am as a child and do not know how to go out or come in.” Read 1 Kings 3:7-12 NKJV. As I prepared for ministry, feeling ill prepared, Solomon’s words became my confession and prayer. That night in a Sikeston motel room lit only by the motel sign outside my window, I opened my Bible and began to read. My eyes fell upon the words out of a dark night of the psalmist’s own soul, “From where does my help come? My help comes from the Lord who made the heavens and the earth . . The Lord will preserve your going out and coming in from this time forth, and even for evermore.” Read Psalm 121:1-8 NKJV. I had found my treasure hidden in the dark night of my soul. “My God turns my darkness into light.” Psalm 18:28 NIV. There in my most difficult of tragedies, God’s Word became the quiet, clear voice of a caring, compassionate God assuring my heart that my “comings and goings” would always be safe in His hands. “He who watches over you will not slumber; indeed, He who watches over Israel will neither slumber nor sleep.” Psalm 121:3-4 NIV. God is not unaware nor uncaring before nor during your circumstance so troubling to you. When you feel God has withdrawn from you (though He has not and never will, even when you sometimes wish He would so you could blame Him or someone else for your pain and bewilderment), and your dark feelings of discouragement and doubt are troubling and confusing to you there is a path to peace. The Biblical remedy is simple. “Submit yourselves, then, to God. Resist the devil, and he will flee from you. Come near to God and he will come near to you.” James 4:7-8 NIV. God has not withdrawn from you; He never will. Your pain and confusion have gradually and unnoticeably created distance between you and your God, challenging your trust and convictions. The next move is yours. Submit yourself, confessing your feelings (which means, “to say the same thing as God says”), doubts, fears, and all, then consciously draw near to God through your penitent decision to trust and obey His Word despite your emotions and fears. Rehearse a submissive posture daily, resume or begin spiritual practices such as: quiet times with God; childlike prayer; reading aloud and meditating on God’s Word, and quietly listening to the Holy Spirit in your heart and spirit. When hope is dim and help seems distant, you discover grace. For some of you, this is a word of encouragement. For others, this is a word of instruction or correction while you are walking through puzzling, uncertain times, feeling alone and bewildered. There in the dark, when you have more questions than answers, you will find God near when you have a heart to trust Him and faith to believe Him. Peter wrote, “We have the Word . . you will do well to pay attention to it, as to a light shining in a dark place, until the day dawns and the Morning Star rises in your hearts.” 2 Peter 1:18 NIV. God is your answer; God’s Word holds your answer. “I am the light of the world. 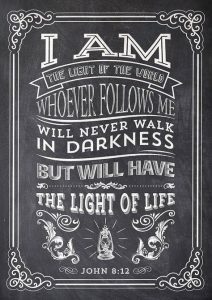 Whoever follows Me will never walk in darkness, but will have the light of Life.” John 8:12 NIV. Light and darkness will not co-exist. Obedience welcomes light and banishes darkness with its doubt and disbelief. Today, I pray for you to reach out to God; “He is not far from each one of us.” Acts 27:17 NIV. I recommend to you a book I enjoyed by Ron Mehl, titled, “God Works the Night Shift.” The author examines the frequent, Bible references of God in the midst of people’s darkest hours, physically, emotionally, and spiritually. The pastor and author knew of what he wrote for he had been dealing with cancer when writing the book. “Love your God with all your heart, all your soul, and all your mind.” Matt 28:37 NLT. Doing what you would rather do instead of doing what you should do is a waste of time. Distraction from truly important matters happens too frequently. We easily procrastinate while busily engaging our time, talents, and resources with too much that is temporal and optional. That behavior may be typical but it’s not particularly profitable. We need Godly wisdom to guide us. Wisdom is not about having all the right answers, because sometimes you won’t. Wisdom is about asking the right questions to the One who holds all truth. Know where to turn when you need to know what to do. “If any of you lacks wisdom, he should ask God, who gives generously to all without finding fault, and it will be given to him.” James 1:5 NIV. Life is simpler and success and satisfaction are possible when you seek answers from the right source. Jesus was asked, “Which is the most important commandment?” Matthew 22:36 NLT. In spite of the questioner’s deliberate attempt to embarrass Jesus, his question allowed Jesus to identify and clarify authentic love for God. Jesus’ answer was clear. “You must love the Lord your God with all your heart, all your soul, and all your mind. 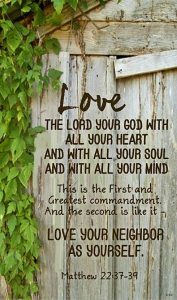 This is the first and great commandment. A second is equally important Love your neighbor as yourself. All the other commandments are based on these two commandments.” Matthew 22:37-40 NLT. Love God with the entirety of all you are and possess; love others as you love yourself. Those are the foundation for all obedience.Jesus clarifies what is eternal and essential. Commandments – truth you accept as essential and non-negotiable – determine the commitments that govern how you live every day. Your commitments should rest on the greatest commandments. Commitments reveal what you consider important. Your life is the sum total of your commitments. There is no higher nor more worthy commitment than to love and serve God with all you are, do, and have. Your values, priorities, and expenditure of time and money should be chosen accordingly. Life becomes complex and choices get messy when you haven’t clarified what is eternal and essential. Simplifying options simplifies life. Ultimate commitments are things and matters that are not easily changed, nor should they be. I think those involve promises that you make to God and others, in your spiritual life and in your relationships. Pray diligently; think carefully; obey faithfully. Today, I pray for you to know that the eternal is ultimately all that is important. My history has been His story. “I have called you friends.” John 15:15 NIV. God created all that populated His new creation, and then created man to inhabit, manage, and enjoy that. But with the abundance of all that was his, Adam was alone. Then God said, “It is not good that man should be alone,” and God created a companion for Adam. You were not made to live life alone. At its core, the Gospel is relational. “I have called you friends, for everything that I learned from my Father I have made known to you.” John 15:15 NIV. Read 2 Corinthians 5:17-21 NIV. When you are reconciled to God, you can properly relate to others. A solitary life is incomplete. You and I were meant to be together, as one in Christ. Growing up, I was more than a bit shy. As a young teen, my first venture into public speaking was devastating. In a service primarily for youth, I spoke so softly that an elderly man (a bit hard of hearing) turned to others in attendance and said more loudly than he realized, “Can’t hardly hear the boy, can you?” I don’t remember a thing I said after that, nor did I choose to speak in public until a High School speech class I couldn’t avoid. But that’s another embarrassing story. After graduating from High School, I shared with my Dad, a pastor, that I felt God was calling me to ministry. Knowing my shyness and awkward self-consciousness, he warned me that successful ministry would not allow indulgence of my natural predisposition. With my Dad’s challenge and encouragement, and two young Bible school students brought into my life providentially that same summer, I chose to believe God could use or change my quiet, introverted personality for His glory. Those two young men became life-long friends and encouragers. Choose friends who make you better. “A man who has friends must himself be friendly.” Proverbs 12:26 NKJV. And be the friend who makes others better. Jesus elevates friendship. Without those and other friends; numerous spiritual mentors across the years; my loving, affirming wife; generous, encouraging congregations; and the grace of God, I would have been unable to obey and serve God as I should. My history has been His story. There are aspects of God’s intention for you that can only be achieved within a circle of friends and mentors. ”Two are better than one, because they have a good return for their work: If one falls down, his friend can help him up. But pity the man who falls and has no one to help him up! . . One may be overpowered, two can defend themselves.” Ecclesiastes 4:9-12 NIV. Who are the friends and mentors God has put in your life to encourage your faith and obedience? Welcome them. Be thankful for them. Honor them. Into whose lives have you been placed to serve as a gift of His provision? Be generous. Be faithful. In serving them you are serving Christ Jesus. Read Colossians 3:23-24 NIV. Today, I pray for you to embrace people God places in your life, some for a while, some for a lifetime, all for His purpose and pleasure.